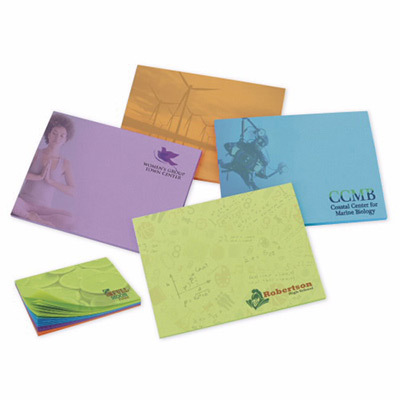 These promotional Bic notepads are perfect if you are looking for customized stationery. These sticky notes are the perfect size to keep reminders or notes for others. You can distribute these custom imprinted Bic promotional notepads at your tradeshow and people will use them every day. 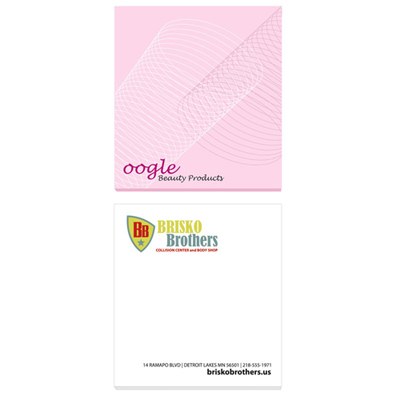 Place an order for your promotional Bic notepads today and build your brand visibility. "We never expected these ordinary sticky notes to look so vibrant with our logo on it. Awesome products. " You can never have enough notepads.